Ada pertanyaan untuk Hotel Komfort Terraces? Terletak di pusat Pusat Kota Bengaluru, Hotel Komfort Terraces adalah tempat ideal untuk menelusuri Bangalore. Dari sini, para tamu dapat menikmati akses mudah ke semua hal yang dapat ditemukan di sebuah kota yang aktif ini. Untuk pilihan lokasi jalan-jalan dan obyek wisata lokal, Anda tidak perlu pergi jauh-jauh karena hotel ini terletak dekat dengan Bangalore Central Shopping Mall, M G Road, Brigade Road. Di Hotel Komfort Terraces, setiap upaya dilakukan untuk membuat tamu merasa nyaman. Dalam hal ini, hotel menyediakan pelayanan dan fasilitas yang terbaik. Ada beberapa fasilitas hotel ini seperti persewaan wi-fi portabel, Wi-fi di tempat umum, tempat parkir mobil, layanan kamar, antar-jemput bandara. Suasana Hotel Komfort Terraces tercermin di setiap kamarnya. kamar bebas asap rokok, AC, meja tulis, kipas angin, akses internet kabel LAN (gratis) hanyalah beberapa dari fasilitas yang dapat Anda nikmati. Disamping itu, hotel memiliki berbagai pilihan fasilitas rekreasi yang menjamin Anda melakukan bermacam hal selama menginap. Apapun alasan Anda mengunjungi Bangalore, Hotel Komfort Terraces adalah tempat yang sempurna untuk liburan yang menyenangkan. Hotel toilet needs improvement. Room were not that fantastic. Breakfast area needs major improvements. 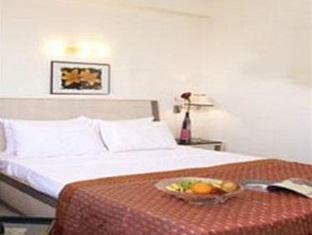 Very convinent place near MG Road Metro, Excellent Food, Morning Free Breakfast, Rooms are clean and neat. Room service is good. Decent, Clean and Affordable accommodation. The staff were very kind and helpful. Great service with a smile. The hotel is nice. 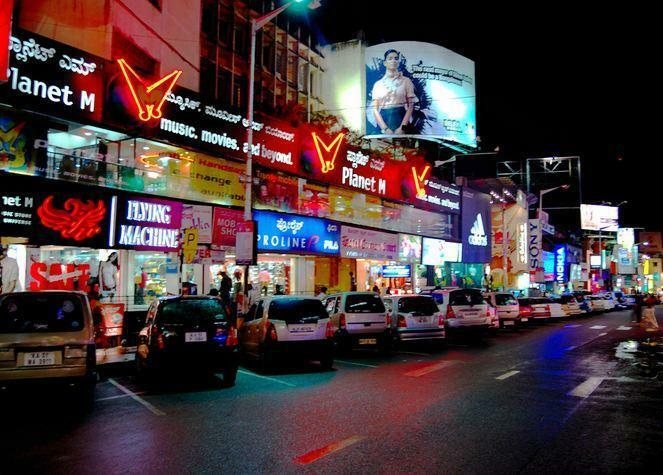 The location is right below the MG Road Metro station and right next to Brigade Road. Staff behavior is very nice. The rooms are clean and comfortable. the hotel rooms are not same as the website picture and also the reception is in third floor very small lift some times it does not work must walk on the steps to 3rd floor for the reception. its not value for money for me. the staff was very good dealing, the breakfast is ok, fast check- in and check - out. it was very good,and good location,the hotel near metro station. Clean rooms, courtieous staff, delicious food. The room is ok clean . Though beeing in the midst of everything at MGroad it's nice and quiet in the room. The room is basic but if you don't spend all day in your room the location makes up for it. If you like Indian breakfast (as I do) the breakfast is ok,served in a restaurant next to the hotel. The rooms are basic but nice and clean. There is Wifi only in the Lobby but that is not a big problem because you get a chance to chat with the very frindly staff. They are very helpful. The location is good with restaurants and shoppinmalls in walkingdistance. Difficult for the autodrivers to find so allways have the phonenr.with you. the very basic hotel is more rundown that it looks on the pictures that must have been taken about 10 years ago. but the perfect location makes up for that. the rooms are quite clean . a/c ,wifi, fridge and tv. breakfast in a restaurant next door. ok though one morning everything was finished half hour before the end of breakfast time. room was basic however my stay was very comfortable and staff very helpful. it was right outside the metro station so was very easy to find and get taxi's and buses. the town centre was less than a minutes walk away. During my stay the staff was very friendly, supporting. This is not a hotel to stay full day and to have a great meal, but to stay if you plan to visit all over the Bangalore town and stay at night. very small rooms without any window. breakfast close to nothing, but the location of the hotel will make you forget about any other shortcomings. Really good hotel, ideal for short stays in particular. Right opposite the metro and near some great shopping malls. The staff were really friendly and helpful. Only annoyance was them ordering a taxi from a different company that we asked for, therefore much more expensive! Shower was amazing - 6 jets shooting out from the wall!